Phobya's HeGrease Extreme, designed to gain the last bit of cooling performance in the high-end sector! 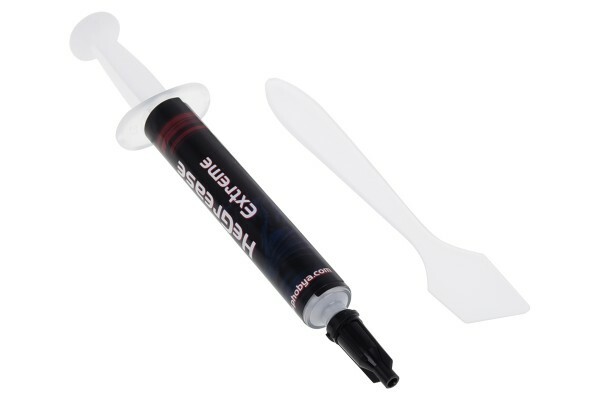 This thermal compound is of course not only well-suited for the high-end sector, the normal user can also profit from this product. It allows better cooling performance for an existing system with little effort. Phobya has developed a product which offers exceptional performance with a thermal conductivity of 8.5W/mK! Keep out of the reach of children. In case of contact with eyes, rinse immediately with plenty of water and seek medical advice. Besser als Kryonaut und trocknet nicht so schnell aus. Der Preis ist sowieso unschlagbar!